The song Daniel Powter - Cupid is professional recreation. It is not by the original artist. Bad Day Daniel Powter Your browser does not support the audio tag. Best Of Me Daniel Powter Your browser does not support the audio tag. 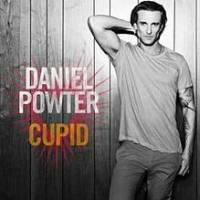 Cupid Daniel Powter Your browser does not support the audio tag. Free Loop Daniel Powter Your browser does not support the audio tag. Lie To Me Daniel Powter Your browser does not support the audio tag. Next Plane Home Daniel Powter Your browser does not support the audio tag.